Do you experience itchy scalp due to dandruff? It seems uncomfortable and embarrassing when you scratch your scalp in the public. Itchy scalp and dandruff will increase the risk of thinning hair and hair loss. Therefore, sufferers want to seek for the effective solutions for itchy scalp and dandruff, from expensive shampoo, conditions to hair treatments. 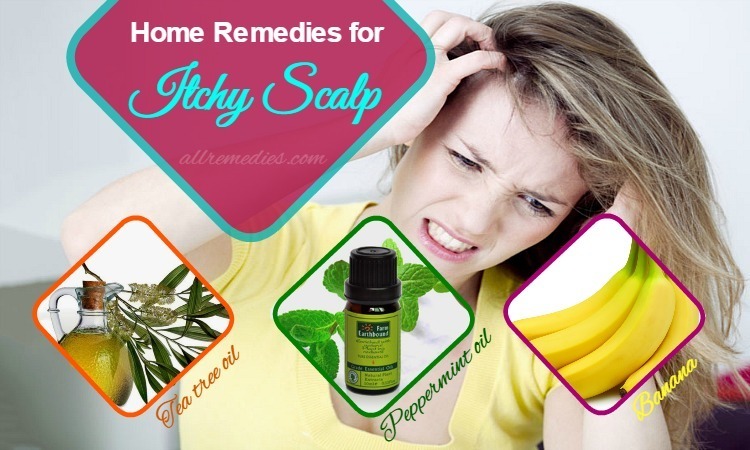 However, there are many home remedies for itchy scalp that help you to treat itchy scalps and dandruff without spending too much money. These ingredients I will give you in this article bellow available in your kitchen. Itchy scalp and dandruff may result in uncomfortable sensation and embarrassing experience. 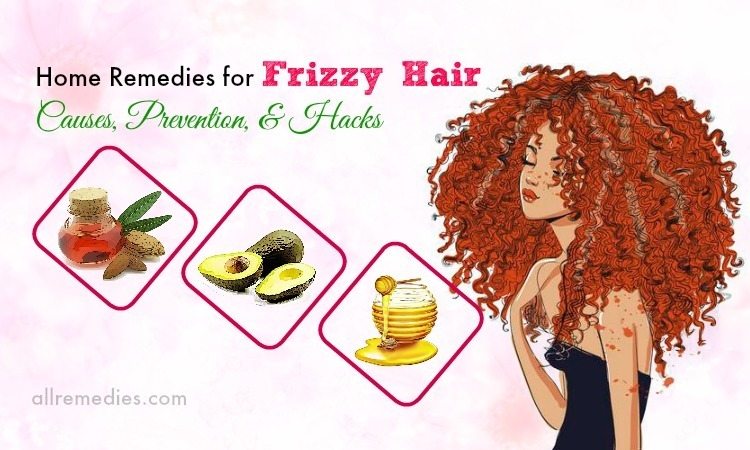 There are many causes triggering itchy scalp and dandruff, including dry scalp, excessive anxiety, sebaceous cysts, fungus and viral infections, poor hair care, and poor diet. If you want to treat itchy scalp, you need to resolve these triggering factors. 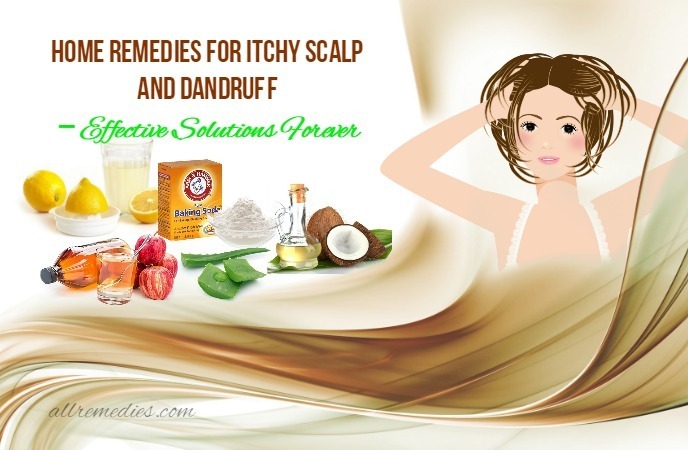 Here are the natural home remedies for itchy scalp and dandruff I would like to introduce to you in AllRemedies.com. If you concern about this article, please continue to read. Tea tree oil is the best solution for many problems related to scalp such as dry scalp, itchy scalp, and dandruff. Therefore, if you want to find the effective home remedies for itchy scalp, we should mention tea tree oil. Tea tree oil is extracted by steam distillation method from the leaves of the melaleuca alternifolia which widely grows in Australia. Therefore, tea tree oil is the natural available ingredients that help you to keep healthy scalp. This is because tea tree oil contains anti-fungal properties that can help to kill the bacteria that lead to skin cells over production, a main factor of dandruff. Moreover, terpinen-4-ol present in tea tree oil has antibacterial and antifungal properties. When terpinen-4-ol penetrates into your hair, it will kill the microorganisms causing itchy skin, dandruff and irritation. Tea tree oil can act as a natural antiseptic and germicide which can kill all the germs causing hair and scalp problems. Because it can keep the sebum from blocking hair follicles, tea tree oil is considered as the best excellent remedies to get rid of all fungal and bacterial infections. Furthermore, tea tree oil is effective in clearing all the dirt particles and excess oil and leaving your hair healthy, shiny appearance. There are various ways on how to use tea tree oil as home remedies for itchy scalp and hair problems. For instance, you can use tea tree oil alone by applying about 5 or 10 drops of tea tree oil on your affected scalp. Massage your scalp gently for a few minutes. After 30 minutes, you can rinse it off with lukewarm water. This treatment will help you to ease the itchiness and irritation after being repeated for a few weeks. Alternatively, the combination of tea tree oil and carrier oil will keep the itchy scalp and dandruff at bay. In order to make this treatment, you should fill in the bottle with ¾ of any carrier oil you like such as olive oil, jojoba oil, almond oil and coconut oil, etc. After that, you can mix it well with 10 or 15 drops of tea tree oil. You can apply this mixture on your scalp and hair. Use your fingertips to massage your hair and your scalp gently. Make sure that you leave it enough time for the tea tree oil and carrier oil to penetrate into your scalp. If you want, leave this mixture on your scalp for a few hours or overnight. You may feel a tingling sensation when applying this mixture. However, it is normal and you do not need to worry about it. After a few hours or in the morning, you can wash this mixture off and then use your shampoo and conditioner as normal. Moreover, you can treat the itchiness and dandruff problem by mixing a few drops of tea tree oil, peppermint oil with a cup of warm water. Stir it well and use this mixture to wash your hair and scalp after shampooing. After that, leave it for a few minutes and then rinse it off completely. If your hair is sticky, you can use a mild shampoo to wash it off after using the mixture of tea tree oil and peppermint oil. We all know that lemon juice has been used to treat many health problems and skin conditions. Many people drink lemon juice with water in the morning to flush out of toxins and free radicals from our body. Topical lemon juice application on your skin will lighten your complexion and help you to get rid of acnes or pimples. Applying lemon juice on your hair not only lengthens your hair but also alleviates uncomfortable issues for your hair and your scalp such as dandruff and itchy scalp. In order to keep strong hair and healthy scalp, you can drink lemon juice on the regular basis. Drinking lemon juice especially in the morning will remove the toxins which can cause discolored or damaged strands. Moreover, you can soak your hair with lemon juice. This treatment is effective in keep your hair and your scalp from any harmful factors outside. Moreover, it also helps you to get rid of excess oil which can lead to dandruff and hair loss. Massaging your scalp with lemon juice is considered as the effective way on how to remove dandruff which can lead to uncomfortable sensation and itchy scalp. However, before using lemon juice as one of natural home remedies for itchy scalp and dandruff, you should keep in mind that lemon juice has acidic properties. Therefore, it is needed to be applied with precaution. 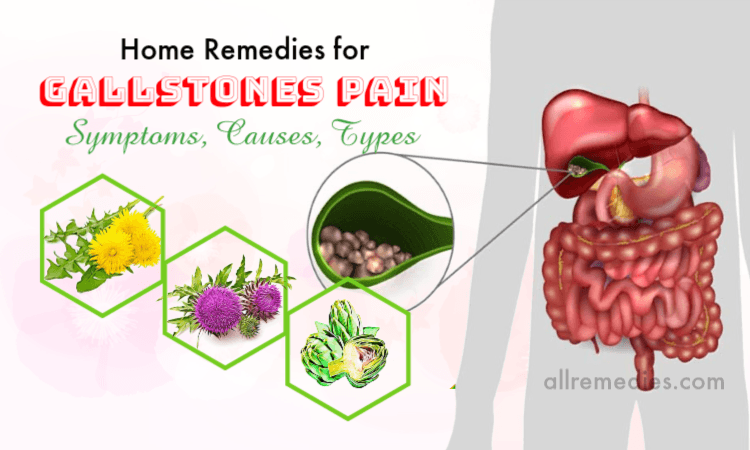 The best solution to reduce its acidity is adding one or two tablespoons of lemon juice in a cup of water instead of applying it directly. When you apply lemon juice treatment on your scalp, please be careful in order not to let the lemon juice get into your eyes. 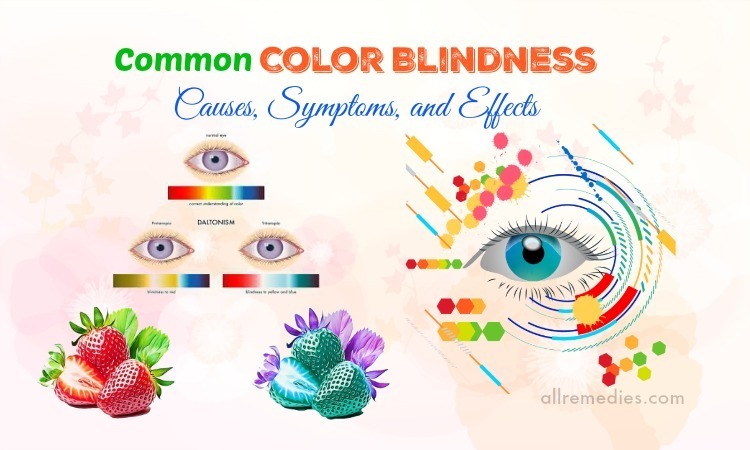 The possible reason may be that, it can cause discomfort. When you massage your scalp with lemon juice, please do it gently. Putting too much pressure or scratching your scalp hard will lead to irritation. After one or two minutes of massaging, you can rinse the lemon juice off with lukewarm water. It is recommended repeating this treatment one or two weeks until the itchiness and discomfort in your scalp are treated completely. Another home remedy for itchy scalp and dandruff that I would like to introduce to you is baking soda. This ingredient will exfoliate your scalp and control dandruff due to overactive fungi. As a result, baking soda is effective in easing itchy scalp. It is recommended using baking soda to treat dandruff and itchy scalp especially if you have a sensitive scalp. It is the best solution for those who have the oily scalp. The possible reason may be that baking soda or sodium bicarbonate has a great ability to controll oils. Using chemical-based shampoo may lead to irritation while applying baking soda as one of effective home remedies for itchy scalp and dandruff will help to get rid of impurities without resulting in irritation. In order to use baking soda to treat itchy scalp and dandruff, you just need to mix 2 tablespoons of baking soda with sufficient water. Mix it well to create a fine consistent paste. After wetting your hair with water, you can apply this paste on your scalp and your hair. Massage it gently in circular motion. Pay attention to the affected areas. Leave it for 15 minutes before rinsing it off with warm water. If you want to have a more satisfactory result, you should do this treatment three times a week for a few weeks. Alternatively, you can utilize baking soda as a dry shampoo. You just need to sprinkle a bit of baking soda on your hair without adding water. Massage your hair and your scalp for a few minutes before shaking if off. Apple cider vinegar is a well-known home remedy for hair, health, and beauty. When it is applied to your scalp, it will prevent hair and scalp problems. Moreover, apple cider vinegar will keep your scalp and your hair shiny and healthy. Using apple cider vinegar will be effective in reducing inflammation and killing fungus due to dry and itchy scalp. Moreover, apple cider vinegar contains antifungal, antibacterial and anti-inflammatory properties. It has a great ability to balance the PH levels of your scalp. 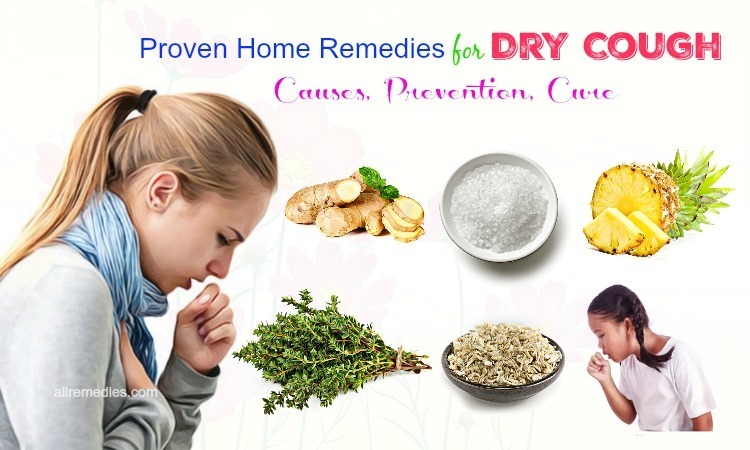 Therefore, it will help you to ease dryness and itchiness. Moreover, apple cider vinegar can act as natural alkaline with a lot of essential nutrients such as vitamins C, B1, A, B6, iron, and potassium as well as alpha hydroxyl acids which are effective in exfoliating the top layers of the scalp in order to treat itchy scalp caused by dandruff. Vinegar not only cleanses your scalp clearly but also heals the scratches. There are many different ways using home remedies for itchy scalp with apple cider vinegar. For example, you can dilute apple cider vinegar with sufficient water in a ratio 1:1, depending on the length of your hair. Before using this treatment, you should rinse your hair with lukewarm water first and allow it dry. After that, you can use a cotton ball or spray bottle to spread this diluted apple cider vinegar solution on your affected scalp. You should massage your scalp for a few minutes in order to make sure that this diluted solution can spread all over your scalp. Cover your hair with a towel or shower cap and allow this solution sit on your scalp 15- 20 minutes. After that, you can wash your hair with shampoo as normal. It is recommended doing this treatment twice a week for a better result. If you want to treat itchy scalp caused by dandruff effectively and naturally, you should not ignore aloe vera. It is said that aloe vera contains moisturizing properties which can help to relieve excessive itchiness and dryness. Moreover, because aloe vera has anti-bacterial, anti-septic and anti-fungal properties, using aloe vera treatment could help to cool the affected areas and calm your urge to scratch your scalp. The effectiveness of this powerful plant in treating many problems related to hair and scalp has been proven by many reports and researches. If you are suffering from itchy scalp, you should not doubt the power and benefits of aloe vera. If aloe vera does not grow in your garden, you can purchase aloe vera gel in the market. When you want to use aloe vera as one of natural home remedies for itchy scalp, you should extract the gel from its leaf or take this gel from package you buy in the health food store. Apply this gel on your scalp and your hair. Rub it in your head and your hair in order to make sure that this gel can cover all the affected areas. It will be better to leave this solution on your hair for about 20 minutes. After 20 minutes, you can rinse it off and wash your hair with shampoo and lukewarm water as normal. Aloe vera can help you to get rid of dandruff thanks to its anti-fungal properties. Penetrating deep into your hair and scalp, aloe vera will kill the bacteria causing dandruff. In order to treat itchy scalp and dandruff, you can use aloe vera alone by applying it on your scalp as the way you do to treat itchy scalp. Moreover, it is said that the combination of aloe vera and lemon juice is effective in treating dandruff too. You should mix aloe vera with lemon juice in equal quantities. Apply this mixture on your hair and your scalp. Use your fingertips to massage your scalp gently. After that, it is recommended leaving solution of aloe vera and lemon juice on your scalp and your hair for about 20 – 30 minutes before rinsing it off with lukewarm water. Lemon contains antimicrobial properties which can help to clear your scalps. Moreover, aloe vera not only treats dandruff and itchy scalp but also does more than that. Regular aloe vera application will help you to improve the health of your hair. For example, aloe vera is effective in clearing hair pores, preventing hair loss, lengthen your hair naturally, smoothing and shining your locks. This is the reason why you should include aloe vera in your hair care routine. Aloe vera is widely used for hair loss and hair regrowth. This natural remedy can help you to treat dandruff and greasy hair. When you want to resolve hair troubles, you should consider using aloe vera. Moreover, aloe vera can detox your hair by removing all the impurities. Therefore, aloe vera is considered as the powerful excellent remedy for your hair. Another among home remedies for itchy scalp and dandruff I would like to introduce to you is coconut oil. The possible reason may be that coconut oil contains moisturizing properties. The oil will help to moisturize your skin can alleviate irritation, redness and itchiness. Moreover, coconut oil will relieve dandruff and cradle cap, the common issues which often occur in babies. Thanks to its antibacterial properties, coconut oil treatment will kill off folliculitis which is an infection of the hair follicles. Coconut oil is effective in fighting fungal infections, including ringworm present in your scalp. Frequent hair washing will lead to frizzy and dry locks because it removes hair sebum. However, coconut oil will create the strong barrier for your hair; as a result, it will keep your hair silky and soft. In order to treat itchy hair and dandruff with coconut oil, you should put 3 or 5 tablespoons of coconut oil in a small bowl. However, if you have long hair, you can get more coconut oil. Place the bowl in the microwave to heat this solution for about 30 seconds. Stir well and after that, keep heating for a few seconds more until this oil solution is melt completely. Allow it cool a little bit and then massage your scalp and the root of your hair gently. It is a great idea to use a plastic comb to spread the oil through your hair and your scalp. Cover your head with a clean towel or shower cap. Wait for 2 hours in order to the oil penetrate deeply into your scalp and your hair. Finally, you can rinse off the solution with shampoo and warm water as normal. If you want to receive the better result, you need to repeat this treatment several times a week and for a few weeks. It will be a surprise to know that banana is one of effective home remedies for itchy scalp and dandruff. Not only does banana treat itchy scalp but it is also effective in conditioning your hair. Moreover, because of moisturizing and nourishing properties, banana is effective in alleviating dandruff, flakes and inflammation. Regular use of banana mask will improve the moisture content of your hair, smooth your locks and alleviate your itchy scalp. In order to use banana to treat itchy scalp, you should mash two bananas using the food processor. After that, mix banana paste with ripe avocado. And then apply this mixture on your scalp and your hair. Wait for about 20 – 30 minutes before rinsing it off with lukewarm water. Shampoo and condition your hair as normal. If you want to get more satisfactory result, you should do this treatment several times a week for a few weeks. Alternatively, banana hair mask made from 3 ripe bananas, 3 tablespoons honey, and 2 tablespoons yogurt. You can add 1 tablespoon of milk if you want. It is up to you. Mix these ingredients well with the help of a mixer of a food processor. Before applying this mixture, you should wet your hair with lukewarm water first. After that, apply this mixture on your hair and your scalp. Massage your hair and your scalp gently for an hour. You should wrap your head with a clean towel or a plastic cap in order to add more heat. Rinse it off, shampoo, and condition your hair as normal. You can add essential oils or carrier oil to this mixture in order to add more benefits. It is said that adding coconut oil or olive oil in this mixture will help your hair shinier and softer. Sesame seed oil is one of effective home remedies for itchy scalp because of its healing, nourishing and lubricating properties. In order to ease itchiness and irritation caused by dry scalp and dandruff, you should warm some sesame oil little bit. 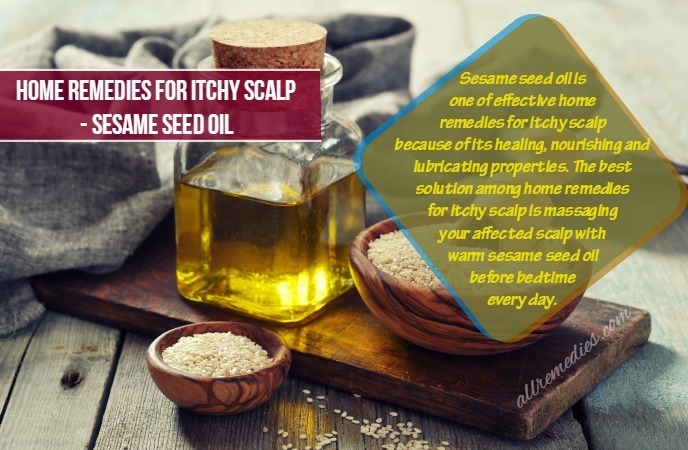 The best solution among home remedies for itchy scalp is massaging your affected scalp with warm sesame seed oil before bedtime every day. For satisfactory result and great relief, you should massage your scalp with your fingertips for about 10 minutes. Use a towel or shower cap to cover your head. When sesame seed oil penetrates into your hair and your scalp, it can give you optimum moisturizing. In the morning, after you wake up, you can rinse and shampoo your hair thoroughly. 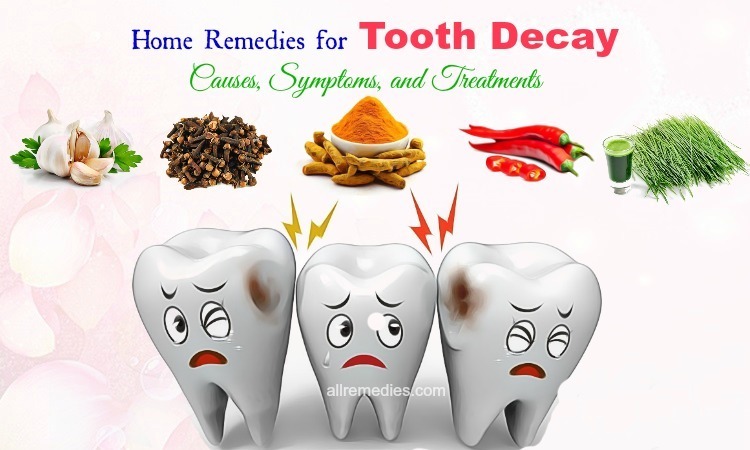 For the best result, you should continue this treatment until the symptoms have gone completely. Witch hazel can act as a natural astringent; therefore, it can help to alleviate your itchy scalp. It is said that witch hazel is effective in treating itchy scalp caused by daily blow drying and hair coloring. In order to treat this hair condition, you should mix witchy hazel with water following a ratio 1:2. After that, you should apply this solution on your scalp and your hair. Use your fingertips to massage your head gently. The witch hazel will penetrate deeply into and benefit your scalp and your hair effectively if you leave it for a few minutes. Finally, you should rinse it off with lukewarm water. Pure essence of jojoba is a wonderful gift of nature. Jojoba oil is completely identical to sebum, the oil released by human sebaceous glands. Sebum which plays the important role in protecting the hair often is stripped away by a lot of harmful factors such as pollutants, chemicals, UV rays, and aging process. It may result in dry, itchy scalp. Jojoba oil will help to ease the irritation and itchiness of your hair. Moreover, it also replenishes your hair and restores the PH balance. While some people have too little sebum oil to protect their hair, others have much. As a result, excess deposits of sebum oil will help to clog the hair follicles resulting in hair loss, dandruff and scalp disorder. Using jojoba oil will help you not only treat itchy scalp but also remove the excess sebum, clean your hair and your scalp effectively, and keep the proper PH balance. Regular use of jojoba oil will keep your hair healthy and shiny. In order to use jojoba oil solution for your hair problems such as itchy scalp and dandruff, you should massage your hair and your scalp with sufficient jojoba oil for a few minutes before bedtime. Cover your scalp and your hair with towel or shower cap in order to add more heat and avoid leaving dirt on your pillow when you leave it overnight and sleep. In the morning, when you wake up, you can rinse and wash your hair thoroughly with mild shampoo. For the best result, this treatment should be repeated once a week. Neem oil is beneficial remedy if you want to reduce itchy scalp caused by dandruff. Using this powerful oil will make your hair and your scalp smooth and healthy. Regular application will give the sufferers of itchy scalp and dandruff the significant relief. While chemical-based products for itchy scalp and dandruff such as shampoos and conditioners may make the problem get worse, neem oil is the effective and safe choice for dandruff and itchy scalp problem. There are many ways for you to use neem oil for hair problems including dandruff and itchy scalp. For example, you can wash your hair thoroughly and apply sufficient amount of apple cider vinegar on your scalp. Leave apple cider vinegar on your scalp for a few minutes. Rinse it off and make your hair dry partially. After that, you apply a little neem oil on your scalp and your hair. Finally, use a clean towel to dry it off. The alternative way is making neem oil shampoo at home. You just need to add half a teaspoon of neem oil in your shampoo bottle. Shake the shampoo bottle to make sure that all these ingredients is mixed well. Use this shampoo once a week for the best result. If using neem oil alone is strong for you and can lead to irritation, it is recommended mixing neem oil with other oils such as olive oil, coconut oil or jojoba oil before applying. It is said that the combination of neem oil and olive oil is effective in treating itchy scalp caused by dandruff too. You just need to mix a tablespoon of neem oil with a tablespoon of olive oil. Apply this mixture on your hair and let it sit for about 20 minutes before rinsing it off with lukewarm water. The mixture of neem oil and olive oil is considered as a good hair conditioner. Alternatively, you can mix neem oil, basil oil, and tea tree oil in equal quantities, depending on the length of your hair. It is said that this solution is suitable for all hair types. The combination of tea tree oil, rosemary oil, and neem oil in equal quantities can also treat hair and scalp problems. Apply this mixture on your hair and your scalp. You can shampoo your hair as normal after 2 hours. If you want to get rid of dandruff and cure damaged hair roots, you should put a few drops of neem oil, 1 tablespoon of bhringaraj, a few leaves of bnasil, 1 tablespoon of fenugreek powder and one tablespoon of shikakai in a bowl and mix these ingredients well until it becomes the thick paste. Spread this paste over your scalp and your hair. This paste will help to ease dandruff problem because it contains antibacterial and antifungal properties. Peppermint oil is one of effective natural home remedies for itchy scalp if this problem is caused by dryness. Therefore, people often use peppermint oil not only to make candles, add the pleasant scent to your home but also to cleanse your scalp and your hair. The possible reason may be that peppermint oil contains antiseptic and anti-inflammatory properties. Therefore, using peppermint can soothe the itchy scalp, prevent dandruff and fight against head lice. Moreover, besides treating itchy scalp and dandruff, this oil also help to moisturize your dry scalp and aid in hair growth naturally and effectively. It is recommended including peppermint oil in hair care routine. In order to treat itchy scalp and dandruff, you should mix peppermint oil with one cup of water. After that, you should massage your scalp using peppermint oil with water for a few minutes. Alternatively, you can make peppermint oil shampoo at home. All things you need to do are mixing 3 or 5 drops of peppermint oil with your regular shampoo. After you rinse your hair with water, you can wash your hair with peppermint oil shampoo. After that, rinse off the shampoo and then condition your hair as normal. Chamomile tea has been often used to treat a number of hair and scalp conditions, including dandruff and itchy scalp. Chamomile tea will cleanse the hair and reduce the redness, flakiness due to dandruff. Therefore, it is not surprising to know that chamomile tea is utilized in many hair care products and treatments. However, these products and treatments also contain questionable chemicals that may have some unwanted side effects. It is more effective and safer to use natural chamomile tea as one of home remedies for itchy scalp and dandruff as well as other hair problems. When applied on your hair and your scalp, it will help to keep your hair strong, beautiful and healthy. You can find a lot of ways to use chamomile tea for hair and scalp problem, you just need to mix three chopped sprigs of rosemary with three bags of chamomile tea. Boil the mixture for a few minutes. After that, allow it cool. Regular use of this solution to rinse your hair will help to ease the itchy scalp. Alternatively, you can apply chamomile oil or a mixture made from chamomile oil and rosemary leaves on your affected scalp in order to get the significant relief from itchy scalp. Chamomile tea treatment should be repeated several times for the best result. 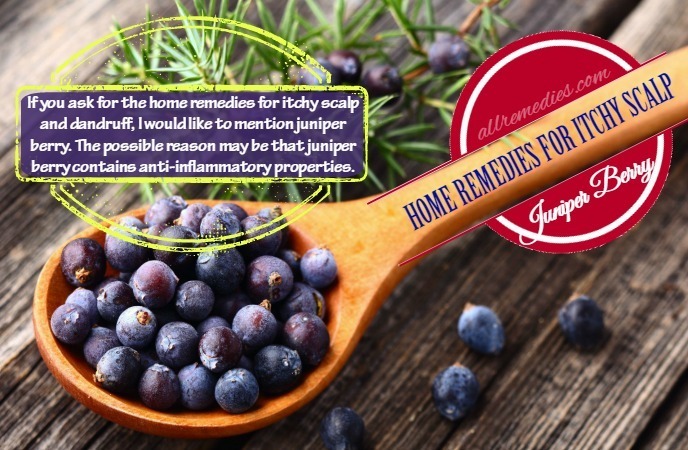 If you ask for the home remedies for itchy scalp and dandruff, I would like to mention juniper berry. The possible reason may be that juniper berry contains anti-inflammatory properties. You just need to crush half a cup of juniper berry and mix it with two cups of boiling water. After that, allow this mixture cool a little bit before apply this mixture on your affected scalp. You can spread the mixture of juniper berry and water over your hair if you want. Let it sit for 10 minutes and then rinse it off with lukewarm water. This solution will help you ease inflammation caused by itchy scalp. For the best result, you should repeat this treatment several times. Rosemary is effective in treating itchy scalp. Its effectiveness has been proven by many sufferers. In order to treat itchy scalp, all things you need are a cup of water, a small spray bottle, a handful dried rosemary and sufficient essential oils. Firstly, you boil the water and pure the boiling water over the dried rosemary. Cover it well and let it steep for about 15 – 20 minutes. Strain the water and let it cool down for a little bit. When it cools completely, you can pour this rosemary solution in the spray bottle. Add 3 or 5 drops of tea tree essential oil and lavender oil in this solution. Use this spray bottle to spray rosemary solution on your hair and your scalp twice or four times a day until the itchiness and discomfort relieve completely. Using rosemary to treat itchy scalp and dandruff, you can get more than that. Your hair will become healthier and shiner. Rosemary solution will also support hair growing process. Also read: benefits of rosemary oil and extract for health, skin and hair. Fenugreek seeds are effective in treating itchy scalp and dandruff. You just need to soak a handful of fenugreek seeds overnight. In the morning, you can strain the water. Rinsing your scalp and your hair with fenugreek seeds solution will give you the significant relief from itchy scalp. However, if you want to make more effective solution using fenugreek seeds, you can add herbal ingredients to it. Firstly, you need to mix a few grinded basil leaves and a little sesame oil well together. Heat the mixture on the low flame. After that, you can add sufficient fenugreek seeds. Heat more few minutes and then turn off the gas. Allow it cool down until it is not too hot. Strain the liquid. Apply this liquid on your scalp and leave it on for 30 minutes. Finally, you can wash it off with lukewarm water and mild shampoo. It is recommended using this treatment on the regular basis until the itchiness and pumps disappear completely. Because of soothing properties, oatmeal can help you to alleviate itchiness on your scalp. Firstly, you should soak oatmeal in the water and then strain it after 20 minutes. Add 5 drops of lavender oil and 5 drops of rosemary oil in this mixture. You should apply this mixture on your scalp and then rinse it off after 15 or 20 minutes. Alternatively, you can make itchy scalp treatment from 2 cup of distilled water, ½ cup of rolled oats, 2 green tea bags, 10 drops of lavender oil, 10 drops of rosemary oil, 10 drops of peppermint oil and a cheesecloth. Firstly, you should boil distilled water. When it boils, turn off the heat and then add green tea bags. Let steep this mixture for a few minutes and then get rid of the tea bags. After that, stir this mixture in rolled oats. Wait for 20 minutes. Stir this mixture well until it cools down. Strain the fluid with the help of cheesecloth. If you do not have cheesecloth, you can use a coffee filter instead. Add 10 drops of essential oils. Let this mixture cool to the room temperature. Apply this mixture directly on your scalp and your hair. Use your fingertips to massage your hair gently. Let it sit for 15 minutes and then rinse it off with cool water. 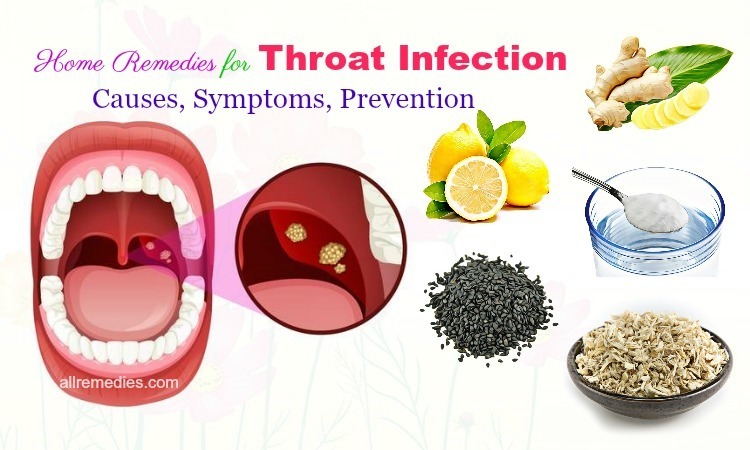 It is recommended repeating this treatment several times a week for a few weeks if you want satisfactory result. Yogurt is not only good food for your health but also natural remedy for itchy scalp and dandruff thanks to its moisturizing properties and nutritional content. If you want to treat hair and scalp problem with yogurt remedy, you just need to mix 25 grams Indian Gooseberry with 1 litre of water and leave it overnight. In the morning, after you wake up, you should boil the mixture of yogurt and water and reduce it to a half. Add more 25 grams of yogurt and mix it well. Spread this mixture on your scalp and your hair and then rinse it off with lukewarm water. It is recommended repeating this treatment on the regular basis in order to treat itchy scalp and dandruff completely. In Asian countries, bay leaf is the common favored herb which is widely used in cooking and for medicinal purpose. Bay leaf can be used in its powdery form for many skin, hair, and health benefits. The fact that it has a lot of benefits besides cooking is still not known by many people. You may be surprised to know that bay leaf can make your hair smooth, kill off the fungal and bacterial infection over scalp, get rid of head lice, tone your skin and have relaxing properties. Moreover, bay leaf is effective in treating itchy scalp and dandruff. In order to treat itchy scalp and dandruff with bay leaf, you need to crush bay leaves and boil the water. Put the crushed leaves in a bowl and then pour boiling water over it. Cover the bowl well for about 20 minutes. After that, strain the liquid and let it cool down a little bit. You should apply this liquid on your scalp and your hair. Wait for an hour. While waiting, you can cover your head with a shower cap and do something you like, for example watching television or listening to music. After the waiting time passes, you can wash your hair with cold water. Doing this treatment on the regular basis will help you to cure dandruff and itchiness on your scalp. Alternatively, you can grind a few bay leaves into powder and then mix it with sufficient coconut oil. Mix it well and spread this mixture on your affected areas of the scalp. This mixture of coconut oil and bay leaves powder is effective in strengthening the hair follicles and alleviating the itchiness on your scalp. After 30 minutes, you can rinse it off with cold water. For the best result, you should repeat this treatment several times a week for a few weeks. Combing your hair is the good way on how to ease itchy scalp and dandruff when this scalp problem is caused by lack of blood circulation. In that case, it is recommended combing your hair for about 15 – 20 minutes twice a day. This tip will help to stimulate the sebum production. Sebum plays the important role in moisturizing your scalp and increasing the blood circulation. Moreover, combing hair will make your hair shiner because the released sebum will form a protective coat for your hair, leaving a shiny exterior. Thank to vitamin C content, strawberry is effective in restoring the PH balance of your scalp. As a result, it will help you to alleviate itchy scalp and dandruff. You just need to blend some strawberries,1 tablespoon of honey with 1 tablespoon of coconut oil together with the help of mixer and food processor until it becomes the thick paste. Apply this paste over your scalp and your hair. After 20 minutes, you can shampoo your hair as normal. You should repeat this mask again if you want to treat itchy scalp and dandruff effectively. 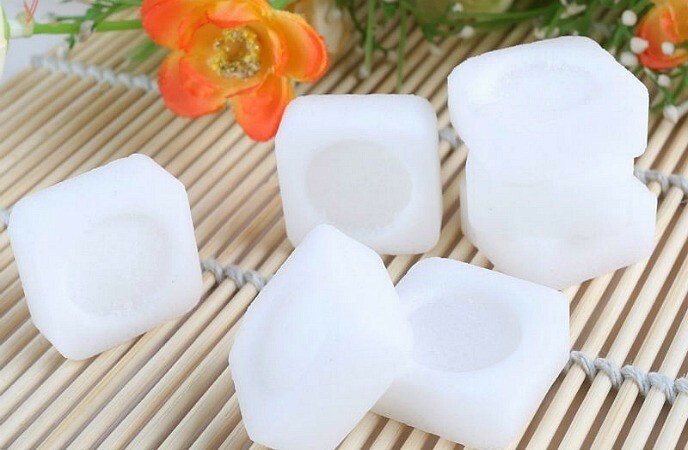 Camphor has distinct and irresistible aroma because of the chemical compound and natural healing properties. 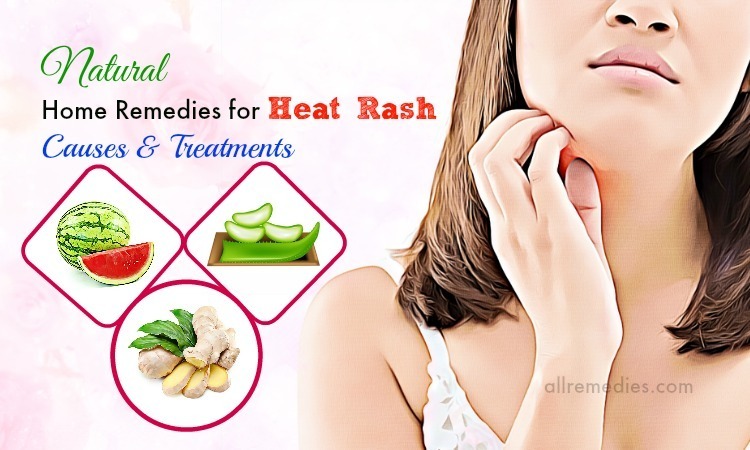 Camphor has been used as one of the best remedies for many beauty problems for ages. This is the reason why camphor is the integral favored remedy in Ayurveda. There are many benefits camphor has, from treating pimples and acne, getting rid of acne scars from your skin to treating itchy scalp and dandruff. In order to use camphor as one of effective home remedies for itchy scalp and dandruff, you just need to mix 5 grams of camphor with 20 grams of coconut oil. Stir it well until the camphor dissolves completely. After that, apply this paste on your scalp and your hair. Let it absorb for about 20 minutes before rinsing it off with cold water. In order to treat dandruff and itchy scalp completely, you should repeat this treatment twice or three times a week for a few weeks. However, before using camphor to treat problems related to scalp, skin, or hair, you need to make sure that you are not allergic to camphor. It is the great ideal to consult the doctor before using camphor as the treatment for your skin, hair and scalp. The possible reason may be that camphor is considered as the chemical agent because it has chemical compound. 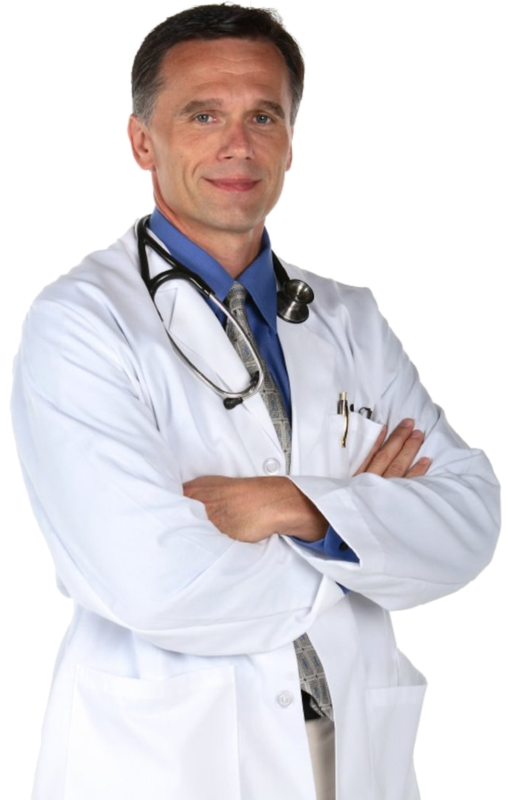 Therefore, camphor may not be suitable for some people and can cause unwanted side effects. Another thing I would like to note is that camphor should be not applied on the broken skin or scalp. It can enter your body through these broken areas and high concentration of camphor in your body can lead to poisoning. White vinegar is said to treat dandruff and itchiness over your scalp naturally and effectively. The possible reason may be that it contains acetic acid which can block the fungi growth. Mix one half cup of white vinegar with two cups of water. Firstly, you should shampoo your hair as normal and then use this mixture as the hair rinse. Alternatively, you can mix white vinegar, olive oil and water in a ratio 2:1:3. The amount of each ingredient depends on the length of your hair. Massaging your scalp with this mixture will help you to ease the itchiness and dandruff. After 20 minutes, you can wash it off with mild shampoo and cold water. 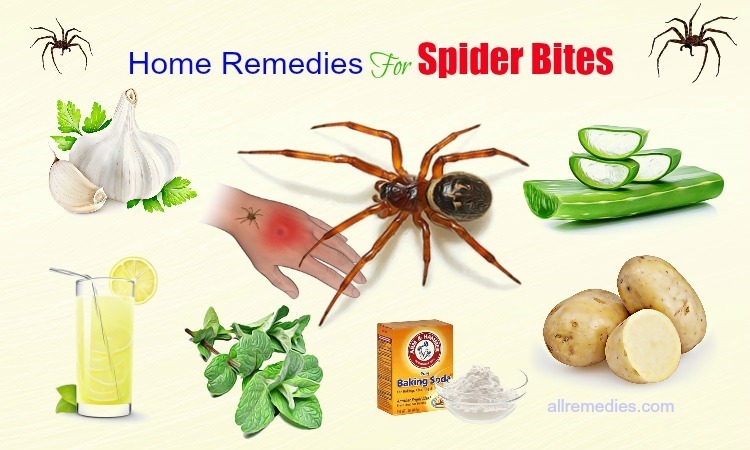 It is recommended following these remedy once or twice a week. Asking for effective home remedies for itchy scalp and dandruff, you should ignore olive oil. Heat one half cup of extra virgin olive oil in a microwave for a few minutes. Make sure that the extra virgin olive oil is warm and thin. Use your hands to spread olive oil over your affected scalp. Brush your hair with a natural-bristled hairbrush. Wait for 20 minutes and then wash your hair with mild shampoo and cold water. 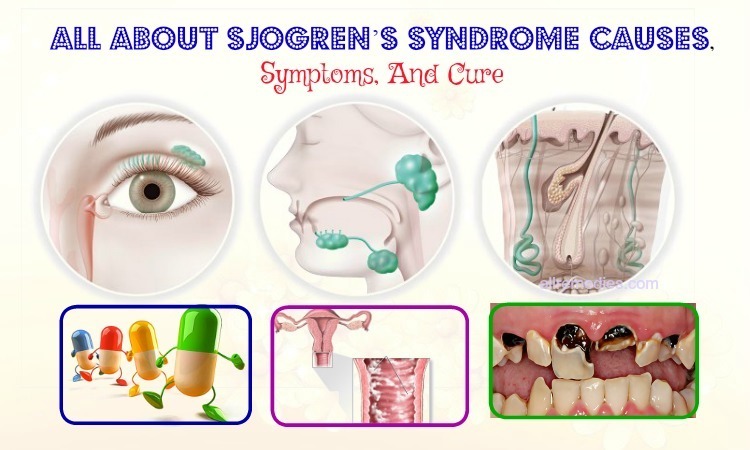 It is recommended applying this treatment twice a week for a few weeks in order to get the satisfactory result. Alternatively, the combination olive oil and honey also help you to alleviate itchy scalp and dandruff problem. Mix 2 tablespoons of olive oil with 1 tablespoon of honey and then pour it into a plastic zipper bag. Seal the bag carefully. Fill a bowl or a mug with hot water. Place this plastic bag into this bowl. Make sure that the hot water will cover this bag containing mixture of olive oil and honey. After 5 minutes, you can take this bag. Cut off a corner of this plastic bag and then squeeze it over your hair in order to spread the mixture. Rub it thorough your hair to make sure that this mixture cover your hair and your scalp completely. Cover your hair with clean towel or a plastic shower cap. Leave this mixture on your hair and your scalp for about 15 minutes. Remove it by washing your hair with mild shampoo. You should repeat this treatment if you want. However, before using olive oil treatment for your itchy scalp, you need to make sure that the extra virgin olive oil is not too hot. It is the good idea to test this mixture inside your wrist before applying it on your affected scalp. When you heat extra virgin olive oil in hot water or microwave, you should take extreme caution. It is important to rinse off the olive oil with mild shampoo. If the olive oil is not removed completely, it will clog your pores and make the flakes stick to your scalp. This treatment for itchy scalp and dandruff seems strange but it works especially for itchiness problem caused by dandruff. This is because aspirin has salicylic acid that can keep dandruff problem under the control. Aspirin will help to exfoliate your scalp. Crush two aspirins into find powder and then add it into a shampoo. Wash your hair with that shampoo and massage your scalp gently using your fingertips. Let it sit on your hair and your scalp for a few minutes before rinsing it off. If you want to remove the aspirin powder completely, you can wash your hair with normal shampoo again. Another way on how to treat dandruff and itchy scalp effectively with aspirin is crushing three aspirins and then mix it with one tablespoon of vinegar. You should massage your scalp with this mixture and then wash it off thoroughly after 30 minutes. Besides aspirin, Listerine also help you to treat dandruff and itchy scalp. The possible reason may be that Listerine has alcohol content and antifungal properties. You just need to use Listerine as the hair rinse once a week. There is not exact reason why lack of sunlight will increase the risk of developing dandruff and itchy scalp. However, there are many cases which prove that the dandruff problem will ease if the exposure to sunlight increases. This is the reason why people often suffer from dandruff and itchiness problem in winter. It may be because the sunlight will control the sebum and oil production or improve people’s overall health. Whatever the reasons are, it is worthy trying sunlight as one of effective home remedies for itchy scalp and dandruff. It is recommended spending 15 minutes daily in the sunlight. However, you need to limit your time because UV rays can cause some problems for your hair, skin and health. This tip is not new. Eating healthy will help you to improve overall health. Moreover, if you want to have strong hair and healthy scalp, it is important to eat healthy. The healthy diet means that your daily meal should include a wide range of fruits, vegetables, lean meat and healthy fat. You should know which nutrients your scalp need. Unhealthy foods and foods which are extreme fatty should be avoided. If you want to know which good foods for healthy scalp you should eat, please read the following list. Veggies: It is said that green leafy vegetables are good for your skin, hair, and health. Eating veggies regularly will help you to prevent itchy scalp, dandruff and dry scalp. Therefore, your healthy diet should include kale, broccoli, and lettuce. Lean proteins: In order to keep dandruff and itchy scalp at bay, you should eat more lean proteins. Lean proteins are effective in keeping your hair and your skin healthy. It is recommended eating fish and non-meat proteins like nuts, eggs and beans. Fish Oils: Consuming fish oils will make the great difference in your hair, skin and health. Therefore, it is recommended taking fish oil supplements in order to eliminate dandruff and ease the severity of itchiness. Salt is something available in your kitchen. People often use salt in cooking. However, do you know salt is one of natural home remedies for itchy scalp and dandruff. Salt can work as natural exfoliator because of its slightly abrasive crystals. Using salt will help you to get rid of dead skin flakes and extra oil. Rubbing the salt on your scalp will give you pleasant feeling and ease the itchiness. All things you need are 3 tablespoons of Epsom salt. However, if you do not have Epsom salt available, you can substitute it with regular table salt. Massage your affected scalp gently with 3 tablespoons of salt for about 2 – 3 minutes and then shampoo your hair as normal. Egg yolks also help you to treat dandruff and itchy scalp. You just need to mix the yolks of one or 2 eggs. Apply it on your scalp and leave it on for 30 minutes. You should put the plastic bag over your scalp and your hair in order to add more heat and prevent bad smell. After 30 minutes you can wash it off with cold water. You can mix mouth wash with water in a ratio 1:9. After wash your hair, you should pour this mixture on your hair. You should not rinse it off. Style your hair as normal. One of home remedies for itchy scalp and dandruff I also would like to introduce to you is cedarwood oil. This evergreen cedar tree has been used for medicinal purposes since biblical times. The Egyptians utilized the cedarwood oil as an insect repellent and this oil was also used in cosmetic. 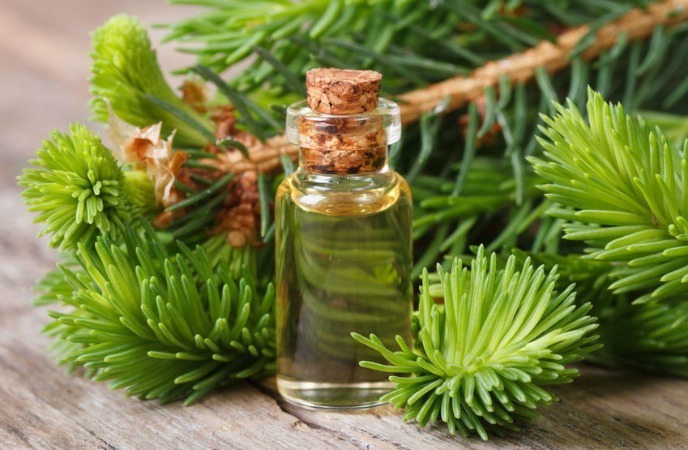 Native Americans utilized cedarwood oil in purification rituals and in medicine. Nowadays, people often use cedarwood oil to treat many problems related to skin and scalps, including dandruff and itchy scalp. This is because the main chemical compounds of cedarwood oil include b-cedrene, a-cedrene, thujopsene, cedrol, other sesquiterpenes, widdrol, and cedrol and the properties of cedarwood oil include antiseptic, anti-seborrheic, astringent, antispasmodic, diuretic, tonic, emmenagogue, insecticide, expectorant, fungicide and sedative. Therefore, using cedarwood oil will help to treat dandruff and ease scalp itchiness. In order to use cedarwood oil to treat dandruff and scalp itchiness, you just need to mix 6 drops of rosemary essential oil, 6 drops of cedarwood oil and 50 ml olive oil with 4 drops of cypress oil. Before bedtime, use this mixture to massage your scalp and then rinse it off the next day. Another option is mixing 5 drops of cedarwood oil, 5 drops of cyprus oil, 5 drops of peppermint oil with 4 teaspoons of grape seed oil. After that, add the mixture in a quarter cup of lemon juice. Massage your scalp with this solution. Leave it on for 2 hours and then wash it off thoroughly. However, the pregnant women should not use cedarwood oil to treat dandruff and scalp itchiness. Egg oil is effective in treating dandruff and itchy scalp although not many people know about its benefits. Egg oil contains cholesterol which plays the important role in eliminating dandruff. Moreover, Omega-3 fatty acids such as Docosahexaenoic Acid (DHA) present in egg oil will make the follicle cells healthy. Apply egg oil on your hair and your scalp and massage for 5 – 10 minutes and then leave it overnight. In the next morning, you can wash it off with mild herbal shampoo. It is recommended using egg oil twice or three times a week for 3 months in order to see the visible results. It is said that egg oil is the stable and mess-free remedy. It does not cause bad smell like egg yolk mask. Moreover, using egg oil does not result in unwanted side effects. We all know that vitamin C and citric acid present in orange is beneficial for skin complexion. Moreover, orange also have benefits for hair care. Thanks to acidic properties, orange peel will help you to remove excess oil. If you want to use orange peel to treat dandruff, you should follow these detailed instructions. Mix lemon juice with orange peel to create a fine paste with the help of food processor. Apply it on your scalp. Let it sit on for about 30 minutes and then rinse it off with shampoo and cold water. 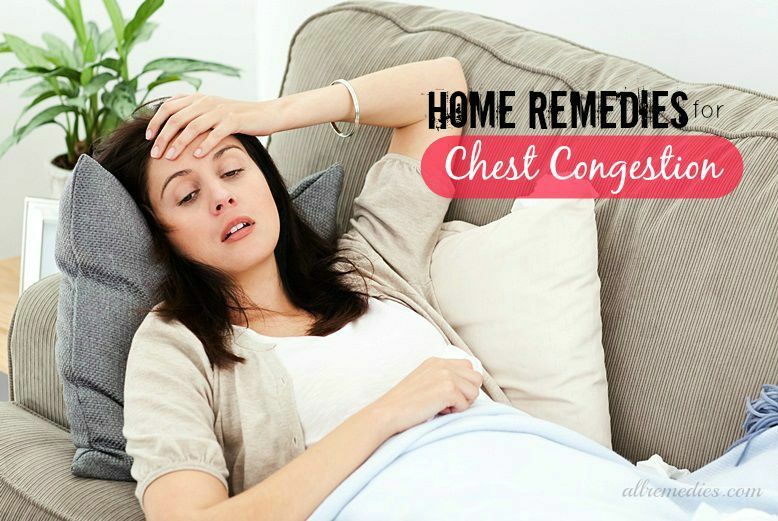 You should follow this remedy twice or three times a week for the best result. There are some important things you should remember if you want to have healthy scalp and strong hair. For example, you should drink enough water and take vitamin E supplements. You should comb your hair twice a day in order to spread natural oils. It is recommended washing the pillow regularly to stay away from dirt. Moreover, washing your hair with hot water will irritate your scalp; therefore it is suggested to use cold water or warm water instead. These are 34 natural home remedies for itchy scalp and dandruff. If you have any questions to ask, please raise your voice by leaving your comments bellow. I will answer as soon as I can.